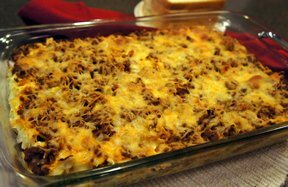 Dried beef, macaroni, and eggs create a combination of flavors for this tasty casserole. 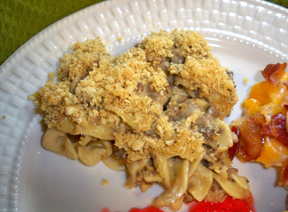 This easy to make casserole is perfect for a quick weeknight meal. Cook hard boiled eggs and slice. Cook macaroni and drain. 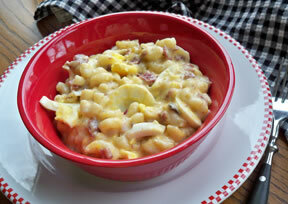 Blend soup and milk together; stir in cheese, onion flakes, macaroni, and dried beef. Fold in eggs and pour into greased casserole. Cover and bake at 350° for 30 minutes. "We always get some dried beef when we get meat from the locker because we like chipped beef on toast but was looking for another recipe to use it in. I tried this one and it was pretty good. It was a little different with the eggs in it but good. 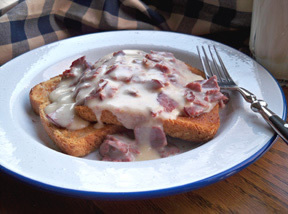 My husband liked it but said he liked chipped beef on toast better. This was a quick casserole to make up."